So let’s say you are tearing down your Baja do some clean up and maintenance. You got the tunes going in the background and everything is going good. 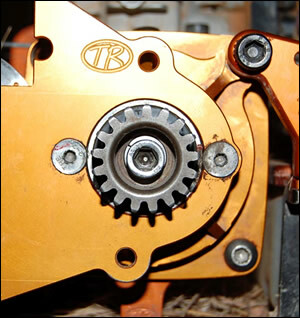 Then uh-oh you strip out the two screws holding your Turtle Racing gear plate to your enclosed clutch bell carrier. Well I guess I shouldn’t have use that much red loctite and used a ratchet to tighten them. But now it’s time to get those screws out so I can continue on with what I was doing. Check to your tools, are they worn out and just not getting any bite, or is the hex in the screw stripped. If your hex wrench is worn out try a new wrench. 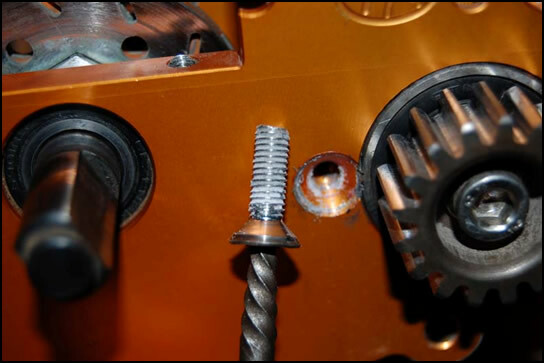 If the screw still will not budge and you’re just spinning the wrench it’s time to get out the screw extractors/easy outs or vise grips. First off what type of screw is it? 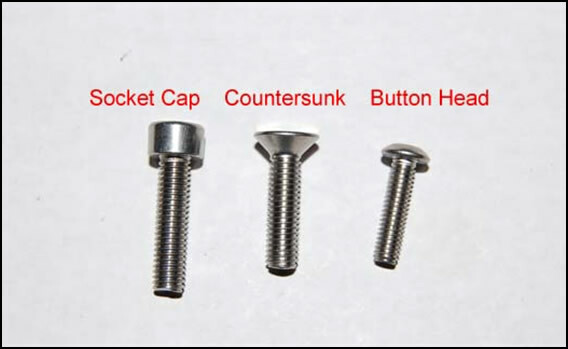 Is it a socket cap screw, a button head, or a counter sunk head? If it’s a socket cap screw can you get a pair of vise grips/locking pliers on it. Do you have enough clearance for your vise grips, If not get out your screw extractor. If you do not have a set of screw extractors/easy outs, your local Sears or hardware store should have them is someway shape or form. Screw extractors come in many different shapes and sizes. 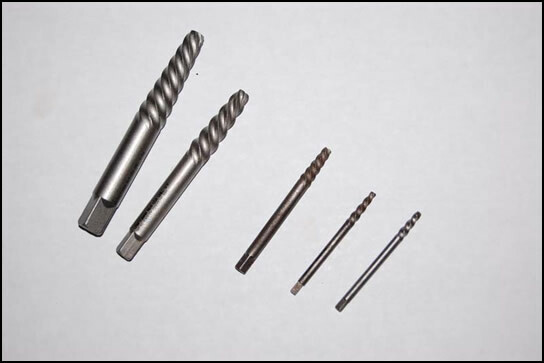 Everything from spiral, to a square shape some are even designed to go into the chuck of a drill….. I know some people say get out the dremel and grind the head, or drill the head off, these methods work great to, but I only use them as a LAST RESORT!! So on to pull out my two stuck screws. First I need to get my tools together. 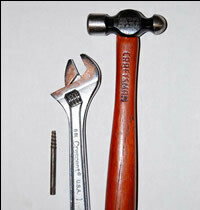 A small ball peen hammer. Here is a little tip for you, normally you would drill into the center of the screw for the easy out to fit into. But screw extractors are pretty cheap so I took the grinder to mine so it fits into the stripped hex without drilling. Now that the tools are ready we just need to center the easy out over the stripped hex and lightly tap the easy out into the stripped out hex in the screw. Once you have the easy out seated firmly into the screw so that it is not falling out, if it does not seat and does fall out grind a little bit more off the end of your easy out till it does seat firmly. 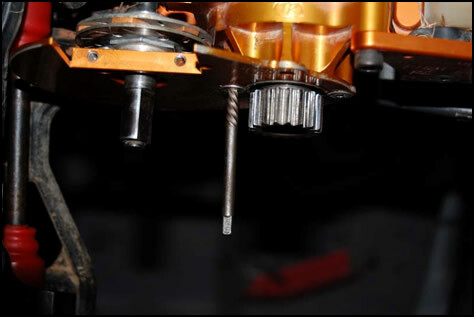 Put your adjustable wrench, tap handle or vise grips on the end of the screw extractor. 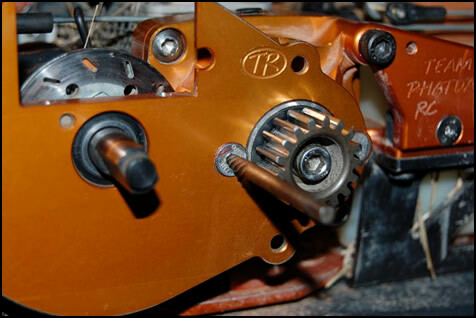 Now firmly press in towards the screw and turn counter-clockwise at the same time. 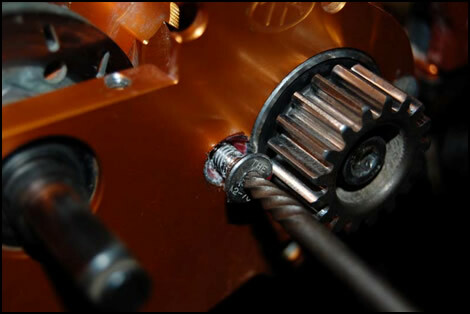 If it starts to turn its best to keep putting pressure on the screw and turn it as far as you can. 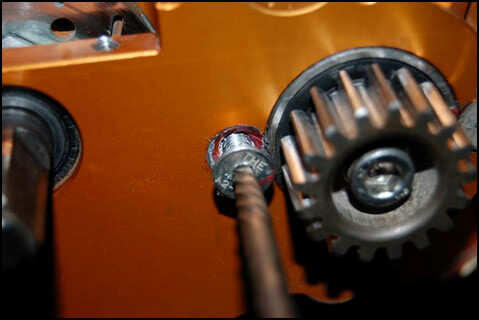 Once it is spinning free you can remove your wrench from the easy out and back it out with your fingers.